Long ago when Angragar was the shining light of the human world, elves and humans were allies and trading partners, but that was centuries ago. When the elves ended their siege of the ancient human city, they enshrouded it in an impenetrable jungle and left caretakers to hide it from prying eyes. Now Angragar has awakened, and elves have appeared among the humans. 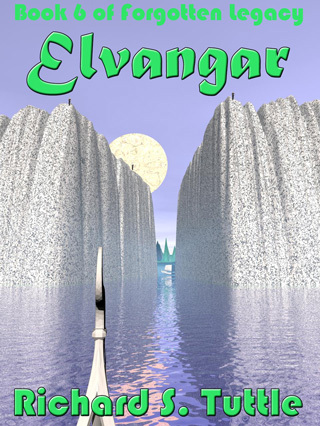 After escaping from the Island of Darkness, the elves, Eltor and Caldal, seek to sail to Elvangar. They need the help of the humans to return to their homeland, but they refuse to divulge its location. The human emperor, Marak, needs the elves to ally with him against the coming evil and strikes a bargain with the elves. Deliver his offer to the queen of the elves and Eltor and Caldal can have a ship to return home.